oOh!media has confirmed today that its expansion into content, with its acquisition of Junkee Media in June 2016 , has delivered new revenue streams in excess of expectations as advertisers seek to achieve deeper and more meaningful engagement with consumers across all markets. 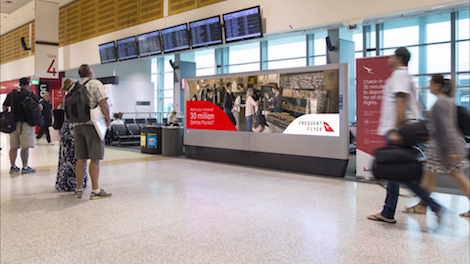 Their announcement coincides with a new integrated campaign, the Qantas Frequent Flyer 30 million Qantas Points Giveaway which uses almost 3,500 of oOh!’s 8,000 digital signs across Road, Fly and Locate by oOh! inventory plus oOh’s experiential agency EDGE and Junkee Media platforms. The campaign draws on the native content expertise of Junkee Media, oOh!’s unparalleled digital sign network and the company’s audience insights to drive awareness of Qantas Frequent Flyer’s wellness program and encourage Australians to be more active, rewarding them with Qantas Points for doing so. The campaign leverages the unique combination of Junkee Media’s original content creation capabilities and platforms with oOh!’s ability to reach Australian consumers in a multitude of environments. The teams at oOh! and Junkee Media created the majority of the campaign inhouse including the original concept, scripting, filming and production of content for the campaign. This included social video content featuring Karl Stefanovic and Richard Wilkins, full motion contextually relevant adverts being run nationally in cafes, gyms, airports office towers and its digital billboard locations include the iconic Bourke Street Mall. 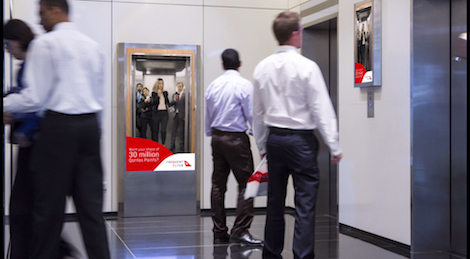 Utilising almost 3,500 of oOh!’s 8,000 digital signs across Road, Fly and Locate by oOh! inventory plus oOh’s experiential agency EDGE and Junkee Media platforms, the campaign will drive awareness of its 30 million points giveaway for those who download the Qantas Assure app and be active. Neil Ackland, CEO at Junkee Media, said that the Qantas Frequent Flyer campaign was an example of a full ecosystem approach where content and assets are all interwoven. 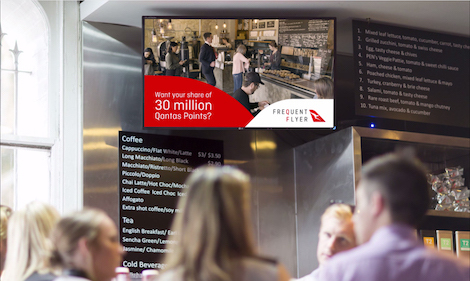 “Digital content developed inhouse will be amplified across thousands of oOh!’s digital screens in office, gym, café, airport and roadside environments and through over 500 Wi-Fi hotspots”. oOh!’s experiential business EDGE continues the message through experiential activations like a huge plane fuselage walk-through where extra rewards can be gained, a virtual teleporter that encourages the public to share images of them at major landmarks across social channels and café activations with free coffee in branded cups.